Check it out, Groove-ophiles! 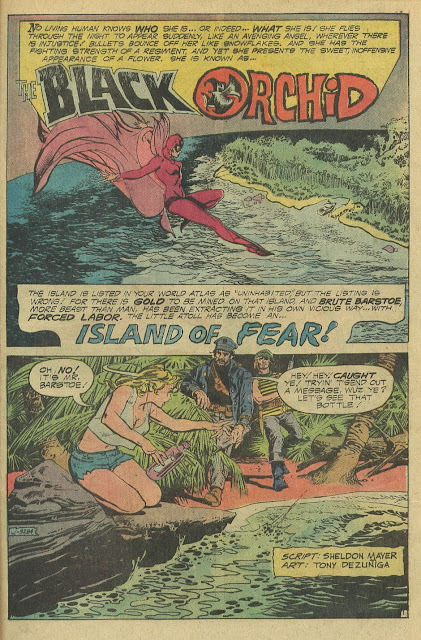 Ol' Groove's been tellin' ya about Black Orchid's strip being continued in the back pages of Phantom Stranger's mag! Well, here ya go! "Island of Fear!" first appeared in the back of Phantom Stranger #31 (March 1974) and it's by series creators Sheldon Mayer and Tony DeZuniga! 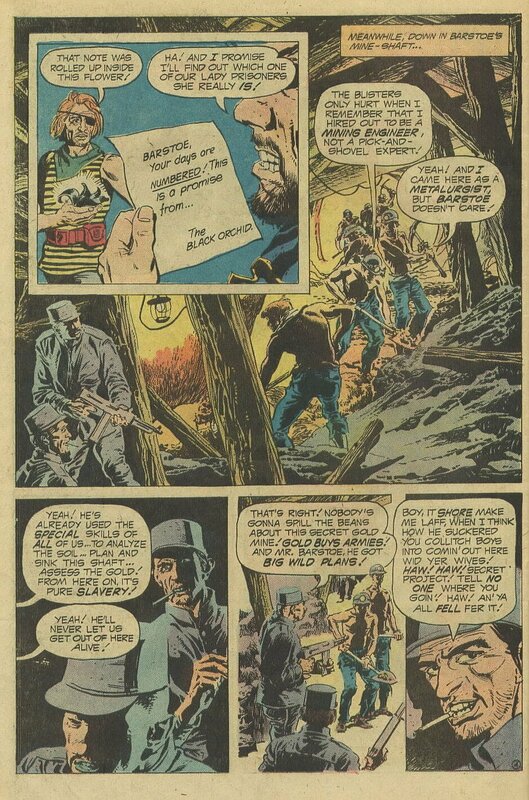 I never really looked at his inks on others, but love his solo comics art, especially the early '70s DC horror, western, & romance titles. He had a great run on Jonah Hex & even his comeback graphic novel (an adaptation of the mediocre film) was well drawn. Love that Filipino drawing style! So moody & evocative, though unusual to see on a super-hero feature (though tucked away in the back of a horror-mystery mag. 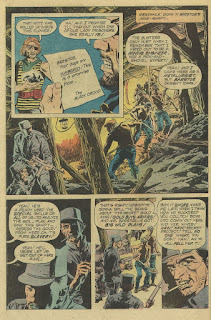 Tony DeZuniga was a superb artist. That he was. And a real gentleman, too. Thank you for posting this issue/story. I'm now adding it to my pull back issue box. I still have to get the first three issues from my box too. 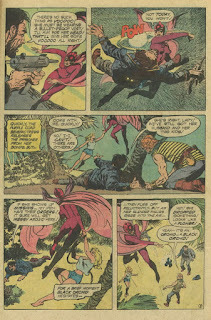 It took me awhile to appreciate Tony Dezuniga, Gene Colan's & Klaus Jansen's inking and art. I was just a little to young at age 9/10 by 13 I was hooked. If you like Tony's art check out Marvel Preview #9 Man-God here & the Doc Savage B & W magazines here too. Speaking of could we see the rest of the Doc Savage B & W mags here. Thanks for posting this! It is a similar plot set-up to the headliner stories from Adventure. 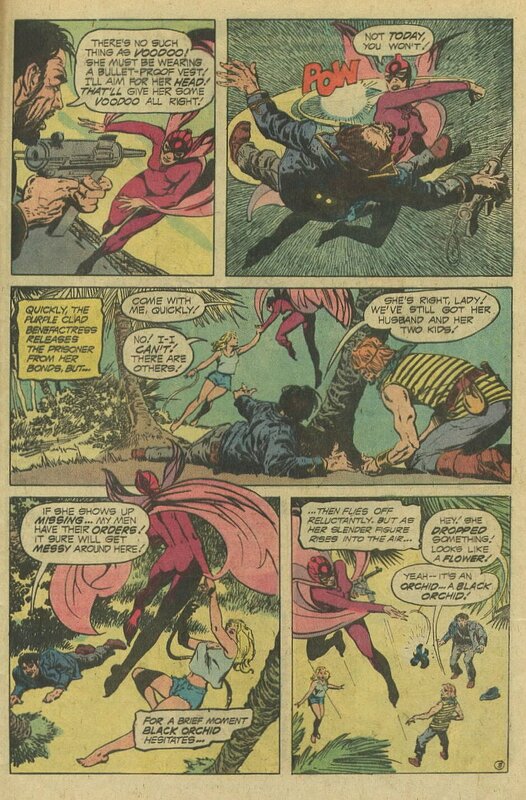 Another installment and we are no closer to unlocking the mystery behind the Black Orchid's identity, origin, extent of powers, etc. I somehow missed this tale in the Phantom Stranger. I was very off-putting by the Gerry Talaoc artwork and Luis Dominguez cover (no substitute for Aparo and Adams). This tale continuing the Mayer/DeZuniga team is a pleasant surprise. Did they do any others in the DC Universe? He did some really nice work on "Weird War Tales"